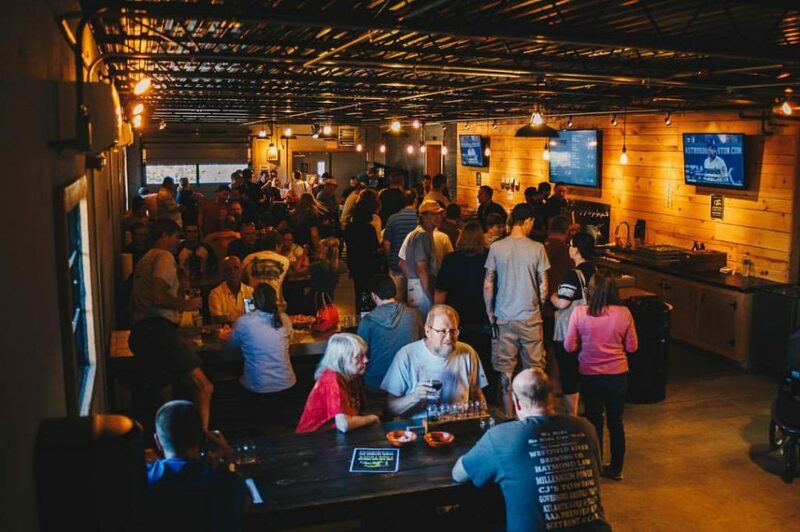 As the Valley’s local craft beer bubble continues to grow, Westfield looks primed for business. Downtown on Elm Street, Skyline Trading Company — a craft beer bar and homebrew shop — has proven a welcome recent addition to Westfield’s nightlife. And residents here often hop in the car (or on a bike) to visit the large barn that houses Westfield River Brewing Company in nearby Southwick. 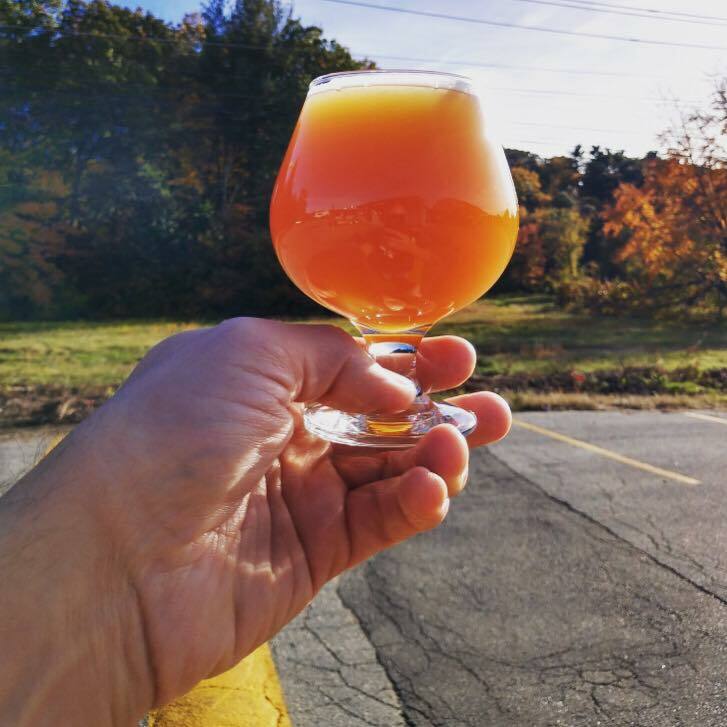 But for the most part, Westfield occupies a quiet corner of the Valley craft beer map, half an hour distant from destination brewery towns like Ludlow and Easthampton. And the unexpected departure of one of the founders of Two Weeks Notice Brewing Company — a highly anticipated new Westfield craft brewery that had been set open this fall, but which is now on hiatus without a space — has added a disappointing wrinkle to the story of craft beer in this city (although co-founder and head brewer Mark Avery is still working on recipes, and he hopes to open locally in the future). 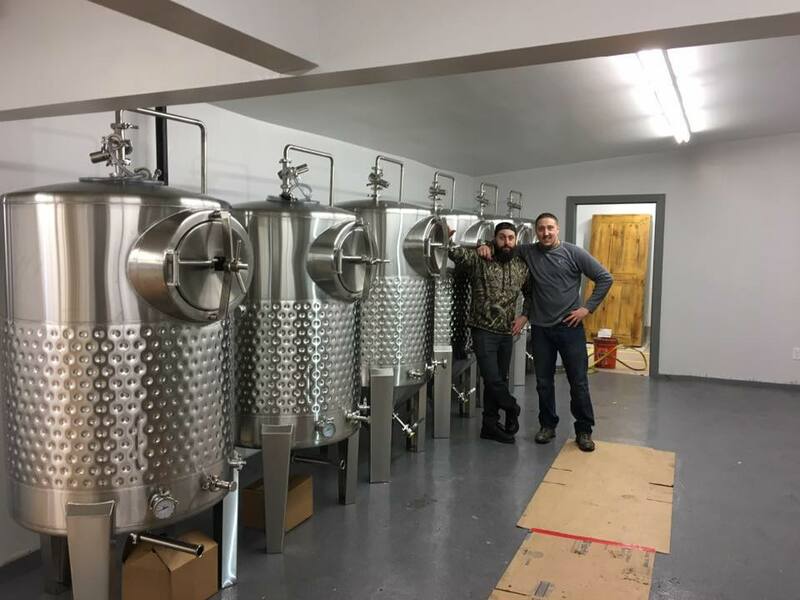 Enter Joe and Nick Cocchi, two brothers born and raised in Westfield who have spent the past few years building their homebrew operation into a commercial brewery, complete with taproom. 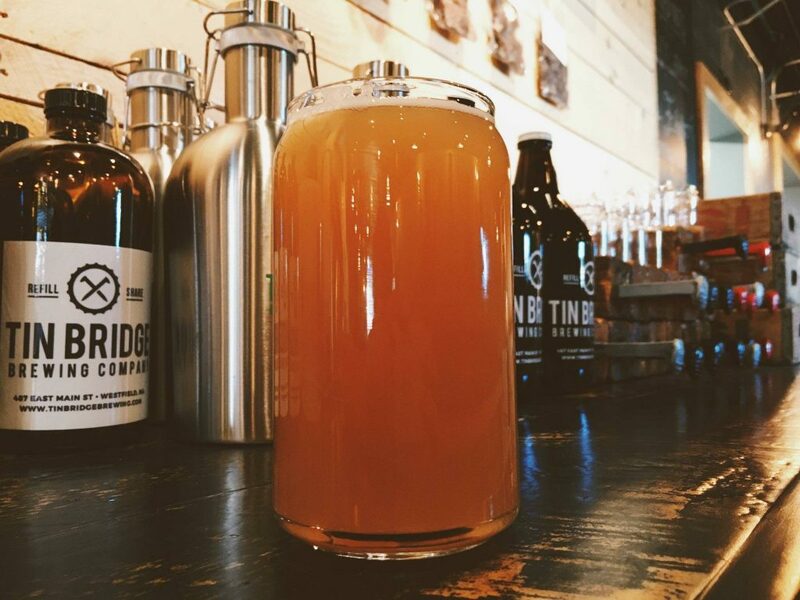 Their new business, Tin Bridge Brewing Company, opened in Westfield in early October. 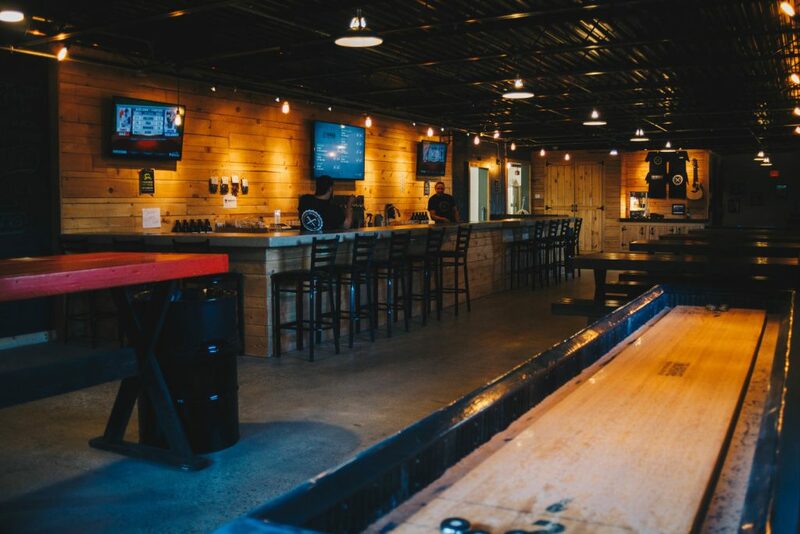 The brewery is located at 487 East Main Street in the Big Y plaza, in a stand-alone building that the Cocchis have renovated into a sleek space that now features bar and communal table seating, wall-mounted TVs, a few classic arcade games, and a homemade shuffleboard. Now Nick is full-time at Tin Bridge, where he spearheads about three brews a week on their new five-barrel system (Joe, who continues to play and tour with his band, will remain self-employed). 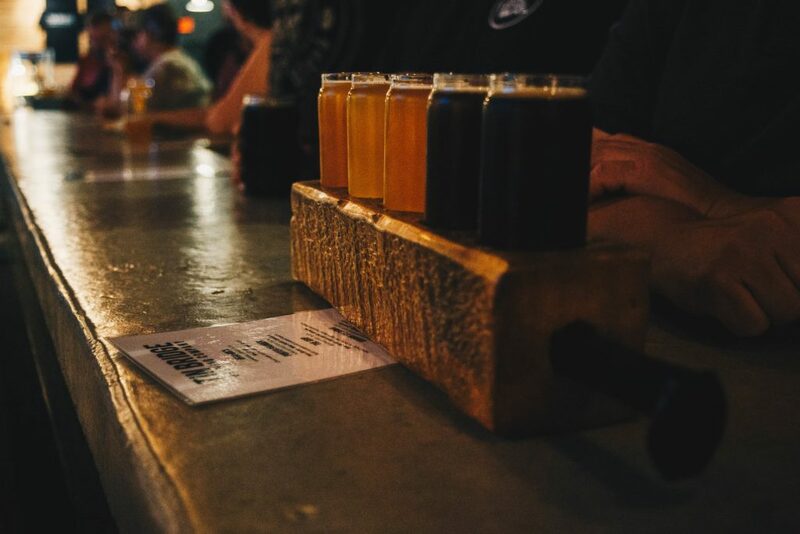 The brewery offers a wide range of beer styles, from IPAs to darker beers like a brown ale and a porter, plus an imperial stout and a blonde ale. The brothers named the brewery after a local hangout spot where they spent time as kids: a nearby defunct railroad bridge that has succumbed, over the decades, to changing industry. And the building that houses the brewery has some sentimental value of its own: although it stood vacant for several years before the Cocchis bought it, 487 East Main Street had been the home of a little Westfield landmark called the Points East restaurant and lounge. 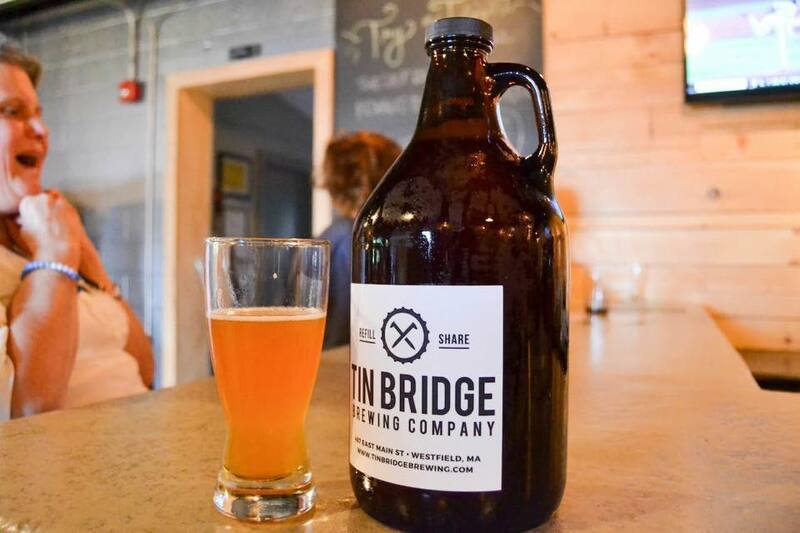 Tin Bridge relies on a variety of local food trucks — which so far has included Damn Yankees BBQ from Holyoke, Sun Kim Bop Korean food from Springfield, Eddie & Angie’s Food Engine from Westfield, Patruno’s Place from Blandford, and Murphy’s Mobile Irish pub food from Agawam — to keep its visitors fed throughout the week (the taproom is open Thursday through Sunday). But despite not having a food kitchen in-house, Joe and Nick are looking to grow a sort of cafe feeling at Tin Bridge. The Cocchis acquired the building in spring 2016. Joe says that the financial investment was significant, but that the renovation project came in under budget, thanks to the fact that “we had a lot of help from basically every local contractor around.” Joe and Nick’s father is a painting contractor, their uncle is a plumber, one of their good friends is a carpenter, and many more wanted to pitch in. Construction went fairly slowly, Joe says, “because we were all working our regular jobs.” The brew system arrived this past May, and the family installed it over the summer. Licensing took a little over a year. The best selling beer so far, Bara says, is the Mosaic IPA. A session IPA called The Grip (named after an old family friend who frequented Points East back in the day) and an IPA called Radio Metal (in honor of Joe’s musical calling) have also done well. 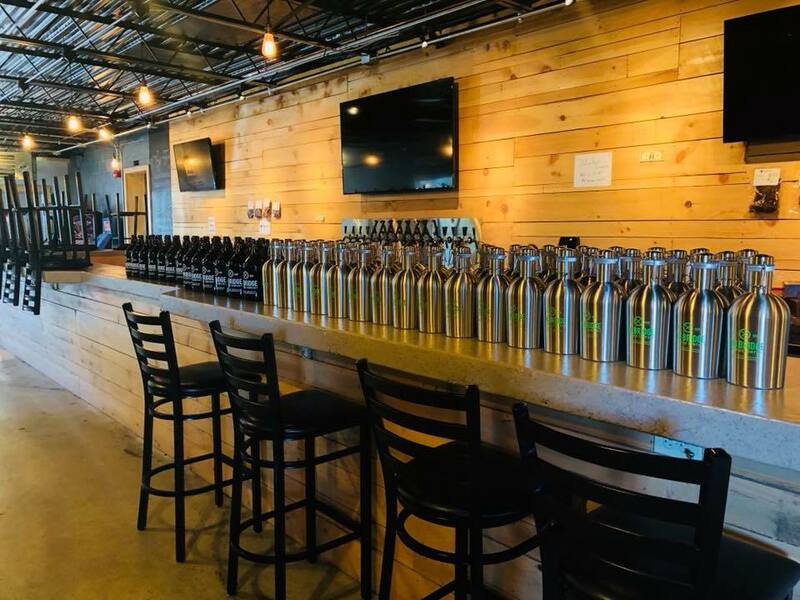 Bara says that Tin Bridge plans to regularly introduce new beers, although the brewery will offer some “staple” beers based on what turns out to be most popular beyond these first few weeks of business. The brewery opened with seven beers on tap, but has the capacity to offer several more at once. “We’d like to introduce a new style or variation at least once a month,” Joe says. “Sometimes I think it’s hard for people to decide when there’s too much to choose from, so I think we’ll stick with eight to ten at most.” Tin Bridge currently sells 32 and 64-ounce growlers in addition to flight and pint pours, but Joe adds that he is also looking into canning machines, and the company has just ordered a new, larger fermenter.